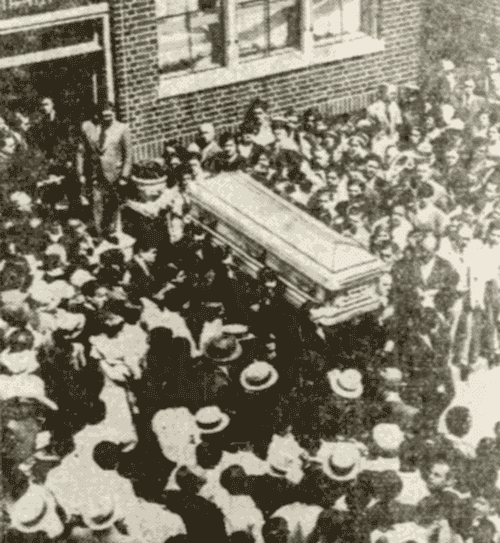 Donato "Daniel" J. Iamascia's gangland funeral on June 22, 1931, became a "glittering pageant" through the Italian neighborhood of Belmont in the Bronx. Though just 29 years old at the time of his death, Iamascia had already put together a lengthy criminal résumé, was well known in the area and well connected politically. An estimated 20,000 people gathered around the Iamascia home at 2313 Belmont Avenue, the Church of Our Lady of Mount Carmel at Belmont Avenue and East 187th Street and along the few city blocks between to observe the spectacle. 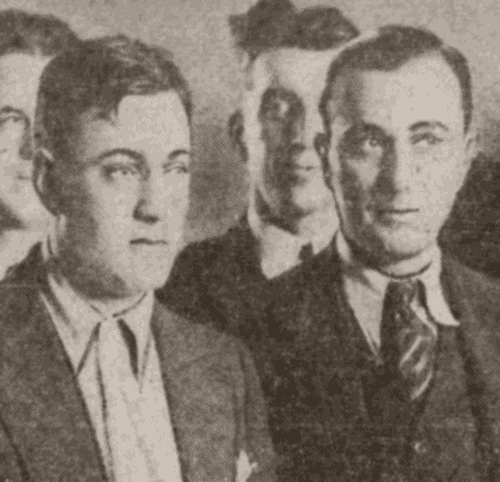 Iamascia, an important member of both Arthur "Dutch Schultz" Flegenheimer's Bronx bootlegging and gambling gang and Ciro "Artichoke King" Terranova's Mafia organization, was killed as the indirect result of a Prohibition Era gangland conflict in New York City. 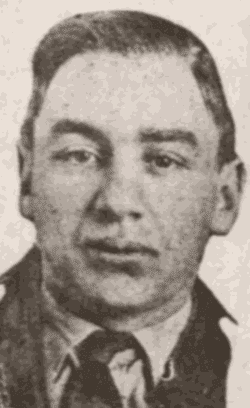 He had been assisting Schultz in battling an insurrection by Vincent "Mad Dog" Coll, and he, Schultz and some other gang members had holed up in a ninth floor apartment at 1212 Fifth Avenue, just east of Central Park at 102nd Street. The four-room apartment had been rented by Schultz under the name of Russell Jones. In the early morning hours of June 18, Schultz and Iamascia stepped out of the apartment building and spotted two suspicious-looking men across the street at the park. Assuming they were Coll gangsters, Schultz and Iamascia drew pistols and charged at the men. Their targets turned out to be New York City Police Detectives Julius Salke and Stephen DiRosa. Seeing their approach, Salke shouted, "We are the law!" Schultz responded by spinning about, tossing his weapon in the street and attempting to escape. Salke fired a shot into the air, convincing Schultz to surrender. 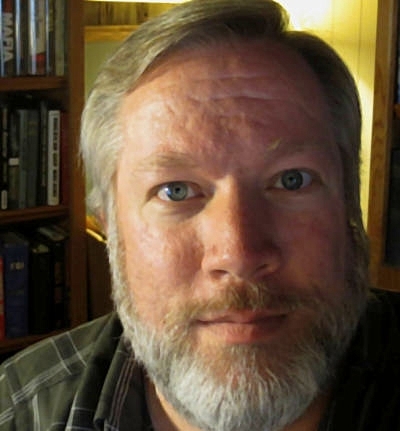 Iamascia was slower to respond, and it cost him his life. As he continued to advance, Detective DiRosa fired a shot into his midsection. Iamascia was rushed to Mount Sinai Hospital nearby, while Schultz was brought to the East 104th Street Police Station for questioning and then locked up in the West Side Jail. Police found that the gang boss was in possession of more than $18,600 in cash at the time of his arrest. Three hours after the encounter with detectives, Iamascia died from his wound. After news of his death was released, numerous and massive floral displays began showing up at the Iamascia residence, a two-story, two-family brick building that was home to Iamascia, his wife, his widowed mother, three sisters, an older brother and his family and a younger brother. (Another brother of Daniel lived with his wife nearby at 2319 Belmont Avenue.) By the night before the funeral, the house could not accommodate the flowers. Additional offerings filled a two-car garage behind the building and spilled out into the driveway. Iamascia's underworld bosses sent impressive tributes. Terranova provided a "gates ajar" flower-covered display that was twelve feet high and bore the simple message, "Sympathy." Schultz sent a diamond-shaped wreath of flowers, eight feet long and five feet tall. A display said to have been furnished by Iamascia's mother featured a clock of flowers within a six-foot heart. The hands of the clock showed ten minutes past six, the moment that Iamascia passed away. "The Boys" sent a broken-column display eight feet in height. And "A Pal" sent a six-foot heart of roses. On the morning of June 22, Iamascia's remains were taken from the family home in a "German silver" coffin reportedly valued at $20,000 (probably a vastly inflated figure). A procession of nearly one hundred and fifty automobiles followed the hearse to the church. Thirty-five of the cars carried the flowers. According to one report, it took the procession thirty minutes to pass any given spot on the short route. Iamascia's coffin is taken from the family home. Seats within the church were reserved for the Iamascia family. About three hundred and fifty people were seated, all said to be related to the deceased. About three thousand curious neighborhood residents clustered around the building. Neither Terranova nor Schultz appeared at the funeral. Schultz remained in custody, facing charges including felonious assault and Sullivan Law violation. A government lien was placed against the cash found on him, as it was suspected that he had been evading his taxes. After a Requiem Mass celebrated by the Rev. John Southwick of Dobbs Ferry, New York, a family friend, the cortège proceeded to St. Raymond's Cemetery. Iamascia's coffin was placed temporarily in a receiving vault. It was reported that Iamascia had recently contracted for the construction of a $25,000 family vault - his father had died a year earlier - that was not yet completed. The Iamascia family announced that it was pursuing a civil lawsuit against Detective DiRosa for his conduct during the incident. The NYPD found no reason to criticize either of the involved detectives. In fact, on the morning after Daniel Iamascia's funeral, both were promoted from third grade to second grade detective.